Hi Plus India: Which are the best corporate gifts to provide to the client? Which are the best corporate gifts to provide to the client? Maintaining a healthy relationship is essential; you might be wishing to have a smooth functioning for the success of an organization. In order to achieve this, you need to impress your employees and clients, as satisfied employees would bring huge returns to the companies. 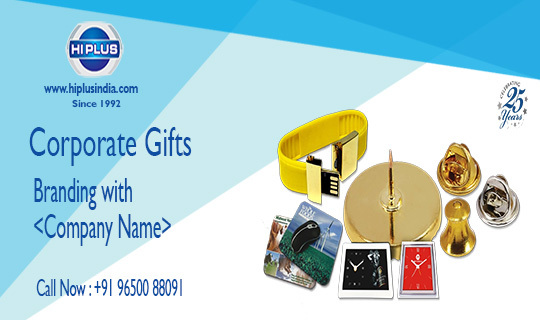 Furthermore, gift giving is a kind gesture and companies have well known the importance of corporate gifting. “Gift giving is an art, and the best way to express your gratitude.” Corporate gift act as a tool or a bridge that strengthen the relations of the internal and external people related to the company. Corporate Diaries- Diaries are always welcomed. Corporate diaries are the useful object and make the best gifting idea. Generally, people tend to note down the important things, days or phone numbers, so what more beneficial than a diary? Corporate diary with the pen set would add a little spice to it. Paperweight- Looking for something that can look stylish? Go for a hand-made stylish paperweight, it can be a handy one to gift. Chocolates- Who doesn’t love chocolates? Like who doesn’t? Chocolates are always welcomed. People never step back to taste something new and delicious. Handmade chocolates could also make the best gift item. Calendar- Gifting Calendar for the coming year is a good one to go for. Get the stylish one with the space to write down important tasks. Customized Pens- Why won’t anyone love pens? Customized pens and diaries make the classy and elegant gifting item. Coffee Mugs- Now this is something the useful and necessary item. Coffee mugs are never out of trend and the receiver would appreciate such gifts. Add a charm to the mug by getting it customised with the company’s logo, receiver’s name or any motivational and funky quote. Mousepad- Such gift would be unique and attractive, and there are ample varieties and designs of mouse pads available in the market. Mousepad for employees is a good gifting idea. Key Chains- Yes, Key chains also fall under the category of corporate gifting item. Not only as a gift, but key chains also act as a branding tool for various companies. Clients would love such gifts, and key chains being handy are used by every age group. Gifting Plants- What can be more healthy and attractive than this? Plants make great presents. You can send your clients a real bamboo, or money tree to decorate their offices or homes. Tech Products- Thinking to gift something useful to employees? Tech Products are a good go. And apart from all the fancy things, tech products are essential and are required every now and then. This category may include- gifting pen drives, Bluetooth speakers, headphones, or power banks. You ought to be creative enough in the gifting area. There are a lot of other items that can be presented, but the above mentioned are pocket-friendly items, moreover, they can easily be available. 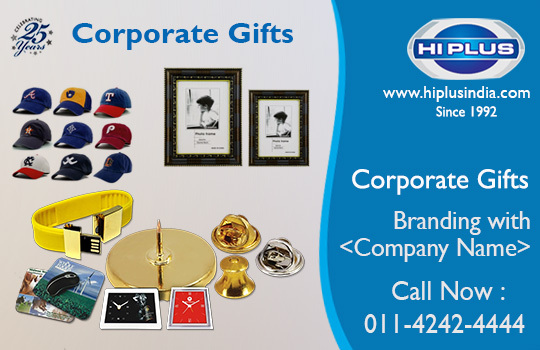 Corporate Gifts Manufacturer in Delhi offers wide variety of gift to choose from that would be loved by the employees and the clients.